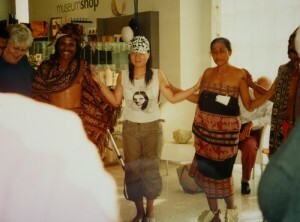 Participation at exhibitions on Savu culture as facilitator, organiser, guest curator and (or) translator. 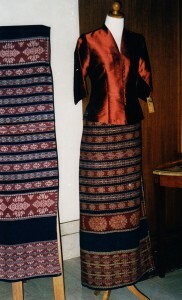 ‘Woven Blossoms, Textiles from Savu, Indonesia’, Horniman Museum, London, 29 May 2004- 20 February 2005. 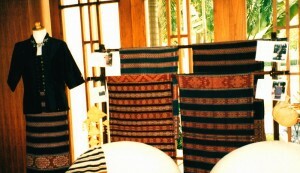 ‘Ikats of Savu’, The Bimasena, Darmawangsa, Jakarta, 29 July – 3 August 2004. 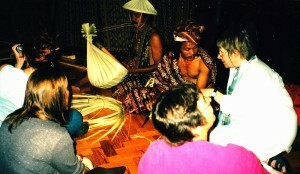 Spinning and weaving demonstrations by two master weavers; sale of traditional ikat textiles produced, documented and explained by the members of Yayasan Hawu Miha Ngara themselves. 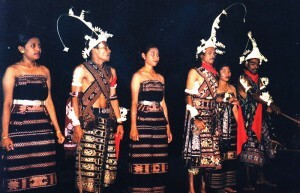 Dance performance for the opening of the exhibition with 14 dancers and musicians from Savu (29 July 2004). 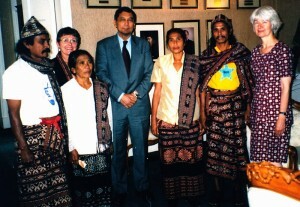 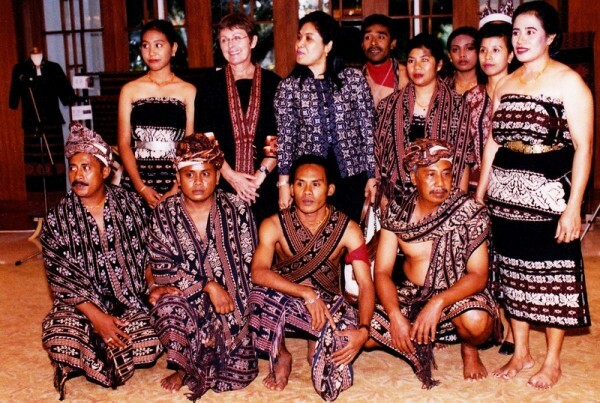 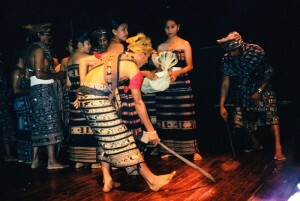 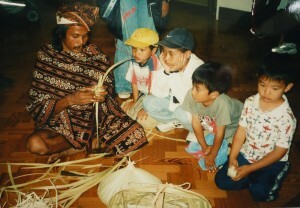 ‘Savu culture at Teater Utan Kayu’, Jakarta, 3 August 2004. 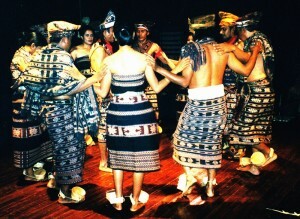 Traditional music, poetry, songs and dance performance by 14 Savunese. 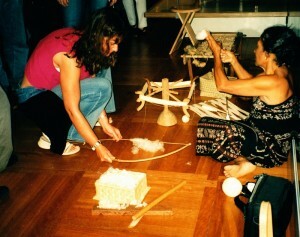 ‘Weaving Blossoms’, London, Horniman Museum, 9 – 22 August 2004. 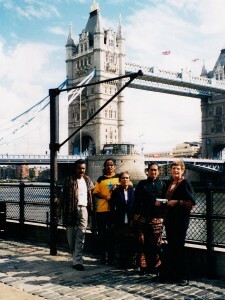 Delegation of two master weavers, Bendelina Buki and Eurusine Dane, and two musicians and craftsmen , Elo Huma Lado and Hernimus Kana Nyola over two weeks at the Horniman Museum. 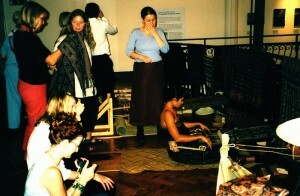 Weaving, dance, songs and handicraft demonstrations and basic skills teaching by the four Savunese on the Balcony of the Museum for free participation of the public. 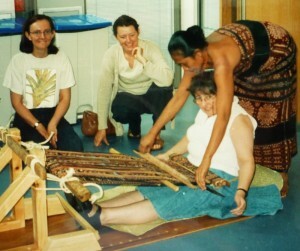 Spinning and weaving workshops lead by two master weavers: Bendelina Buki and Eurusine Dane (Horniman Museum, 16-18 August 2004). 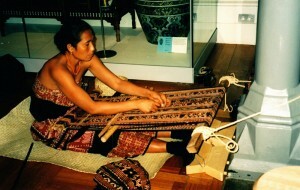 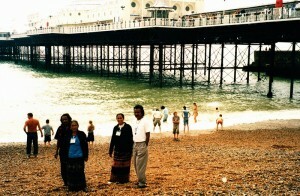 ‘Weaving Blossoms’, Brighton Museum, 14 August 2004. 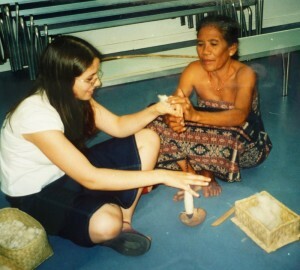 Spinning, weaving, dance, songs, and handicraft demonstrations for free participation of the public.